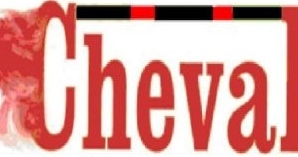 Cheval committee would like to pass on their respects to the Scarff family on the recent passing of Arthur Scarff and also to the Goodwin family on the recent passing of Tony Goodwin. Both Arthur and Tony would have been well known to many Cheval members and both gentlemen were very supportive of Cheval over many years. May they rest in peace. There is lots happening clubwise at the moment and memberships are coming in thick and fast so hopefully this mail captures all that is going on so you can update your diaries and not miss any of the action. Well done to members who have been out representing Cheval at the NER winter league. The grounds are closed at the moment as we start work on the sand arena drainage 🙂 Our Open to All dressage league at the end of March will be on the new arena surface so start practicing your moves. More details on the dressage league further on in this mail and on the attached leaflet. Christina Knowles has kindly agreed to maintain the Cheval Leaderboard for 2017. Please read your emails which outlines when points are awarded for what. Members are responsible for providing results & checking the spreadsheet for any omissions/discrepancies & emailing the Leaderboard email address as soon as is possible with the correction. Only the Leaderboard email address can be used for this – details in the flyer. Members will have 30 days to correct or give feedback otherwise the points will remain as they are on sheet after this. Please check your emails for the RDS Team Qualifier Flyer. This sets out the details in relation to the Assessment Date, Team Selection Date , criteria for the Teams along with a copy of last years Team SJ Rules (2016). If you wish to participate please contact Rachael on Training@chevalridingclub.com and she will be in touch with times etc., the week before both dates. The dressage team training is being co-ordinated by Catriona Monks Walsh and the coach will be Sarah Ennis. Please check your emails for the for the guidelines on whats involved in the team dressage training. If you would like more information or to participate in the dressage team training do reach out to Catriona who will be happy to provide more information. The Cheval dressage league is being co-ordinated by Ashling Moffitt and is open to all this year. We have included a new class Prix Caprilli so there is something for everyone. There are lots of nice prizes and rosettes so note the dates and get practicising your moves! More details on the attached leaflet. If anyone is available to write for judges/do callup etc please do let Ashling know. Horse of the Year Show Birmingham. There is a trip to the Horse of the Year show planned for early October, some members already have their flights and hotels booked so if you are interested in coming along please let me know and I can provide you with further details. Please keep an eye on our website and facebook page which will be kept up to date with the most recent information in respect of the club.